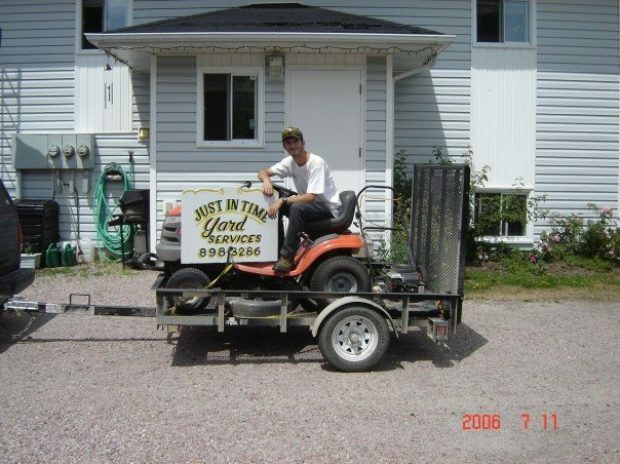 Starting a lawn care business doesn’t have to be expensive or complicated. You’ll be ready to start your business after following these nine steps. You’ve finally made the decision to start your lawn care business. Congrats! If you’re not totally sure where to start or how to move forward then you’ve come to the right place. We’re going to talk about how you can start your lawn care business from scratch. Heads up to all those who are trying to get into landscaping with little to no money–this post is for you too! Nail down your lawn care service offerings: start small and work your way up. Get your lawn care equipment. Experts suggest brand new tools. Get to know your clientele by dropping by when they are home. Establish your brand: business name, logo, decals, uniform, social media, and website. Establish your lawn care business: register and become an LLC. Plan your business model for the future: open a commercial bank account, and save up for overhead and salaries. Create your service pricing structure but don’t undercut yourself. Plan your pricing based on your overhead costs and what your competitors are charging. Start working, but don’t take on jobs you can’t handle or are ill-equipped for. Establish a follow-up procedure for before and after lawn care services. Thank your clients for their business. Starting a business is exciting. There is so much opportunity! A common mistake new business owners make is taking too much on too quickly. If you’re going to be the best at what you do, then it’s likely that you’ll have to specialize or limit your service offerings (think Jack of all trades, but master at none). Before you start, think about what you are genuinely good at, what you’re passionate about, and what you can reasonably accomplish with the resources and labor you have. If you’re starting out on a tight budget then this strategy will help. The more services you offer, the more equipment you’ll need. Costs can add up. If you’re not sure where to start, try figuring out what services are not being offered in your city, or what your future clients might desire out of your lawn care and landscaping business. Understanding this will shed light on what equipment you will need, who your competitors are, and what the demand is in your city. Some lawn care experts suggest that beginners get all new equipment, while others recommend that you get used equipment. Understand how much money you have to start, what your core services will be, and how much you’d like to grow your business in the future. Jason Creel suggests that new landscaping business owners should get all new handheld landscaping equipment. Why? Because you don’t save much money if you buy used equipment, and you never know what condition used equipment is in or how long it will last. Used equipment could really cost you down the road. Start by only buying the equipment you’ll need for your service offerings: a truck, maybe a trailer, a hand push mower, and a backpack blower, for example. Don’t buy absolutely everything. If your budget is tight then you’ll need to run pretty lean on your equipment until you start getting positive cash flow. Be conservative. You won’t want to buy a mower worth ten grand and have to sell it a year later to make up for losses. If you’re starting a lawn care business, or if you’re looking for ways to run your existing business better, this free ebook will get you there. 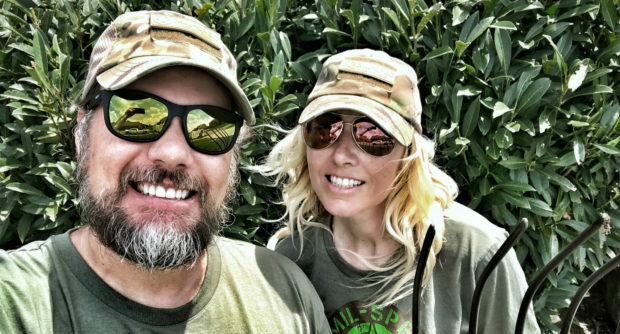 Brian and Kristy Boase of MIL-SPEC Landscaping. At this point, you’re just starting to build your client base through friends, family, and word of mouth. Get to know who these people are, what services they want, and what type of service they like. This will help you plan and craft your brand, service style, and shape your business so you can provide the best services to your future clientele. Your business name should be awesome and catchy, but doesn’t have to take you weeks to plan. However, you absolutely need a functional name for your quotes, emails, invoices, truck, marketing and advertising materials, and clothing (if you choose to go down that route). A good business name will really help drive word of mouth marketing and referrals, too. You might want to skip getting a logo for the time being, but it can help you establish some brand awareness. Placing it on your company materials, clothing, and vehicle decals can help with lead generation and brand awareness in your city. It’s fantastic advertising! Try using a free design website like Canva to create one. You don’t need to wear anything fancy as a landscape and lawn care service provider. A solid shirt in your company color, and shorts or khakis will do. Don’t forget a hat! Wear something that is comfortable to work in, looks professional, and can be worn consistently throughout your workweek. Continuity will help your business look professional. Especially if you’re a small team that’s just starting out. You absolutely need an email and phone number for your business. If you’re willing to invest in a domain, then you can create a branded email address. You should expect to pay around $45 a year for a professional email address domain. If you don’t want to invest in a custom domain, then a regular email account (through Gmail for example) will do. Make sure you still invest time and energy in it. Make it sound and look professional. For example, [email protected] is better than [email protected]! If you’re going down the free domain route, then be careful of what domain host you use. Gmail tends to be more respected than other domains, such as Yahoo or Hotmail. Social media accounts are a great way to establish your brand, grow your client base, and get your name out in your city. Choose one or two social networks that you can devote your attention to. You can also create some really inexpensive social media marketing ads to boost your lead generation efforts. Ads can cost you a couple of dollars, even for highly targeted locations and audiences. Setting up a website can be one of the best ways to use the internet help you grow your lawn care business. Once a lead is on your website, you can direct them to your work request forms, company information, and client testimonials. Some website hosts offer free domains. You can also buy a branded domain too. One of the biggest perks of having a website is being able to control client testimonials and also collect work requests while you’re on the job. Jobber offers work requests for your website so you can passively collect and organize leads. Another great alternative to a website is a Google MyBusiness. Google MyBusiness is an easy way for leads to find your business through Google search and Google Maps search. You can provide your contact information, business hours, service area, and a link to your website. Best yet, you can also collect client reviews. It’s a fantastic lead generator! Build a sustainable landscaping business by registering it with your local government. Your course of action depends on where you live. For example, if you live in a state or province that enforces business tax laws for income, services, and employment, then you will have to register your business and get a business number. You should do some research and figure out what steps you need to take to register your business and establish a company structure. Brian Boase recommends that you get yourself commercial insurance and establish a LLC. He says, “this helps you separate your business assets from your personal assets.” In addition to that, commercial insurance is extremely important. “Accidents happen, so don’t be that person without commercial insurance. You’d be surprised at how much damage a ZT can do to a HVAC unit” Brian says. 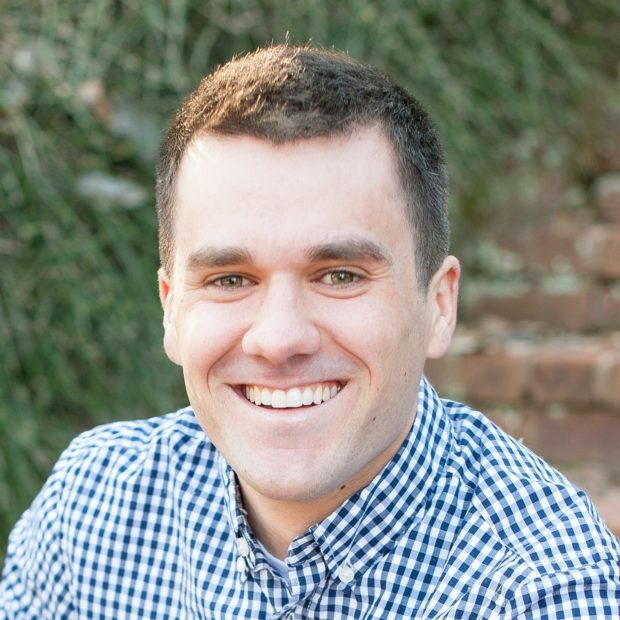 Adam Sylvester, CEO of Charlottesville Lawn Care. Start thinking about your business long term right now. This might seem like you’re jumping the gun, but you’re not. According to Adam Sylvester, CEO of Charlottesville Lawn Care, if you’re just getting started, thinking long term will help you effectively run your landscaping company. Planning ahead can help you set the foundation for a sustainable business and work-life balance as your lawn care company grows. Why? Because most people wait too long to pay themselves, or run out of money on expenses before they pay themselves. You can always increase the amount you pay yourself over time. The point here is that you’re creating the right conditions for sustainable growth over time. In addition, you need to start thinking about how large and how fast you’d like to grow your business. Adam advises that you ask yourself how large you want to grow your business. Always think about how you can evolve your business in six months, one year, and two years from now and work towards those goals. 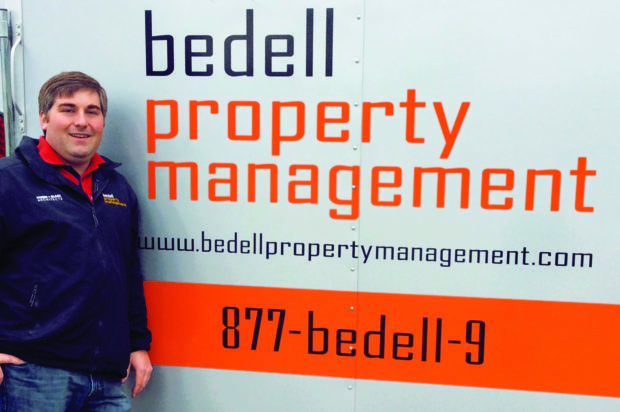 Michael Bedell, Owner of Bedell Property Management. To get your landscaping and lawn care business off the ground before you start working with clients you must get your pricing structure off the ground. Your impulse might be to offer super low prices to be competitive and get some clients in the door. But be careful! This strategy could put you out of business if you’re not factoring in your overhead, expenses, gas, property sizes, route, and your competitor’s pricing. Do some research and math to figure out what your competitors are charging and what you could feasibly offer given your overhead costs. Here’s a helpful resource to help you figure out how to start your pricing structure. Adapt it as your business changes. Michael Bedell, owner of Bedell Property Management, suggests that you fully understand your value before starting to work with clients. If you’re trying to build your book of business, then consider offering reduced pricing and special offers. For example, half-price first appointments if the client books the second with a deposit. Offering your clients different pricing structures and offers might get confusing. Write down account details, or use a software to help you organize all your client and invoice information. Enough planning. It’s time to get to work. Don’t expect clients to just start calling you begging for your business. It’s unlikely that your business to suddenly explode with new clientele. It’s hard work growing a lawn care company. It takes a lot of work and hustle, networking, door knocking, and friends and family referrals. Once you start working in the field, pay attention to what services your clients are asking for most often. Justin Pitre, Owner and Operator of Just in Time Yard Services, says to “avoid taking on any work that you can’t handle.” This will reflect in your quality of service. Always ask yourself if you’re equipped to offer top-notch service that your clients need. The answers to these questions will help you make good buying and hiring decisions down the line. Justin also recommends that you take before and after pictures after every job. This living proof can be extremely helpful for gaining new clientele. Getting everything in order to start your business is the first hurdle. The second hurdle is figuring out how you can grow your business through your existing clients as well as their network. Automate your client emails. Create some email templates that you can send to your clients when you give them quotes, invoices, and accept payments. This helps you stay in contact with your clients every step of the way so you can sell them additional services or remind them about future service opportunities. Make lawn care appointment bookings easy. After your client pays an invoice, send them a thank-you email and ask them when they’d like to schedule the next job. Improve client retention with special offers. Offer discounted rates for follow-up appointments. This is great for attracting new clients. Offer referral discounts. Give clients who refer you to their friends and family free services or discounts. This encourages them to help you grow your business and takes networking work off your hands. There are so many ways to get clients into your pipeline. Satisfied clients are more than happy to pass your name along to their neighbours, friends and family (especially if you have positive client reviews and job site photos). You can work on building out your business manually. However, if you feel that you need to spend time in the field so you can get paid, then there are software options to help you automate your invoices, payments, and client communication. Here's why a business plan makes sense and how you can put a helpful one together. When Should You Invoice Your Lawn Care Customers?